Publisher teases "many more" titles for 10th anniversary celebration. 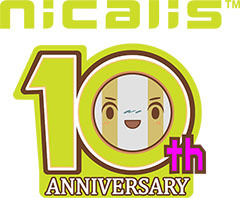 Nicalis, which was founded in 2007, has unveiled its new company logo and 10th anniversary branding, which begin a series of special events and promotions from the company that will continue into 2018. Get the full press release from Nicalis below. The new logo reflects many of the traits that have been hallmarks of Nicalis games since the company’s inception: it’s highly polished, friendly and fun, with a distinct retro vibe. The logo change also represents the start of a new chapter in the company’s evolution—a turning point ushering in an even greater era of video game entertainment after a decade of lessons learned. The first event in Nicalis’ 10th anniversary celebration is BICFest 2017, the annual global independent games conference in Busan, South Korea on September 15-17. 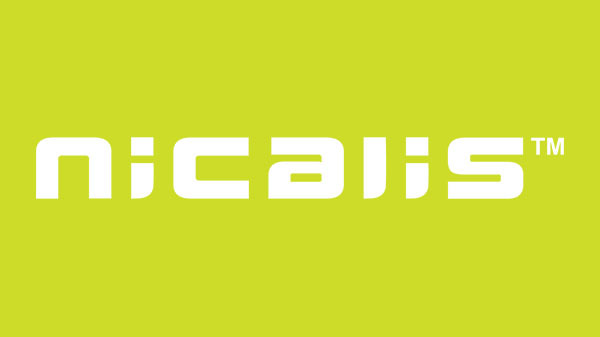 Nicalis is a platinum sponsor of the expo, which will feature many of the company’s upcoming games in a large, designated “Nicalis Zone.” The new Nicalis logo will be displayed in public for the first time at BICFest. Nicalis also recently launched a completely redesigned website at Nicalis.com, where fans can get a peek at some of the company’s upcoming games and learn more about the special events planned for the 10th anniversary celebration, among other surprises. Achieving worldwide recognition with its first published game (Daisuke Amaya’s Cave Story), Nicalis has also developed and published multiple editions of the hugely popular The Binding of Isaac (Rebirth, Afterbirth, and Afterbirth+). The company’s retro-inspired roster includes 1001 Spikes, NightSky, and VVVVVV, and the cornerstone of its success was rebuilt in 2017 when Nicalis produced Cave Story+, an updated, enhanced edition for Nintendo Switch. Upcoming Nicalis games include Tiny Barbarian DX (Switch), Ittle Dew 2+ (Switch), Blade Strangers (Switch, PS4), The End Is Nigh (Switch, PS4), Redout (Switch), and ’90s Super GP (Switch, PS4, PC), with many more to be announced as the 10th anniversary celebration continues.